October is Breast Cancer Action Month and I managed to get in the action this year! Firstly, the wonderful team at Whittaker's sent me a block of their fabulous White Raspberry Chocolate. At first I didn't know what to do, eat it? Or bake with it? Dilemma! (or first world problems more like?) I decided to do both. You know, cos it's the right thing to do. 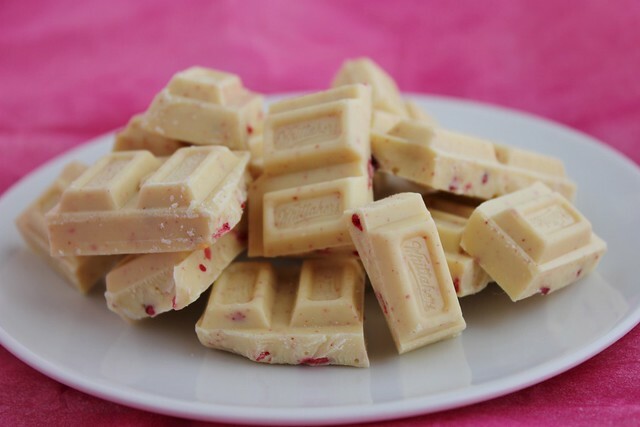 The White Raspberry Chocolate came about as a school project from Samuel Marsden School as part of the Young Enterprise Scheme. 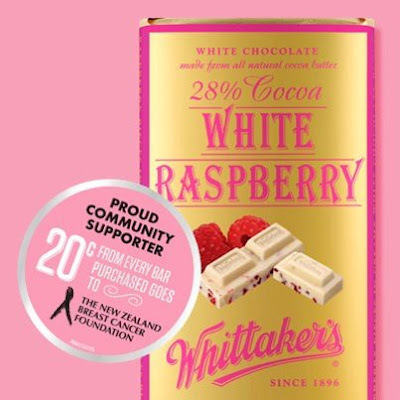 Enter Whittaker's and some fantastic good quality ingredients and you get Whittaker's White Raspberry Chocolate made with 28% cocoa and chocca block full of freeze dried raspberry goodness. With 20 cents from every purchase going to the New Zealand Breast Cancer Foundation, you can feel good about eating chocolate (for once) too! Needless to say, each bite is heavenly. So the taste test was complete and by now my block was down to 150 grams. 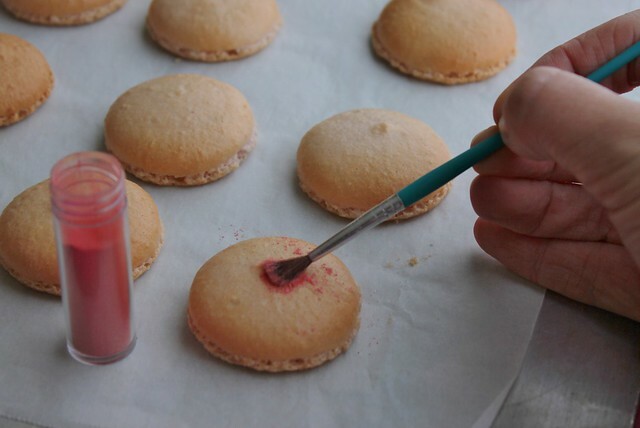 I decided White Raspberry Chocolate deserved something just as decadent to pair it with so I whipped up a batch of Raspberry Macarons and filled them with Whittaker's White Raspberry ganache. My macarons didn't turn out the colour I had hoped (light pink) so I painted on some reddy-pink lustre dust to bring out the pinkyness. 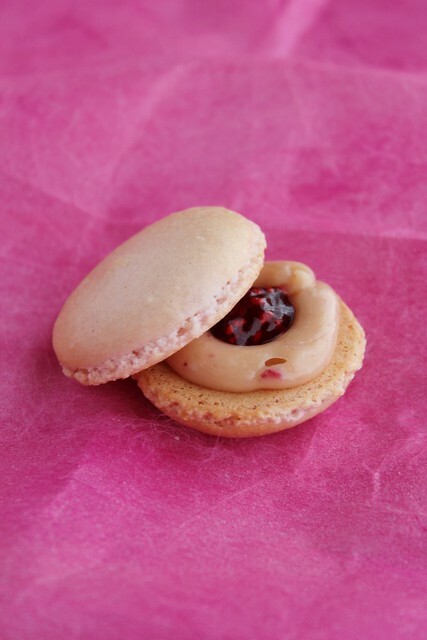 I decided to UP the raspberry tang and popped a wee bit of raspberry jam in the centre of each macaron before filling with the white chocolate raspberry ganache. 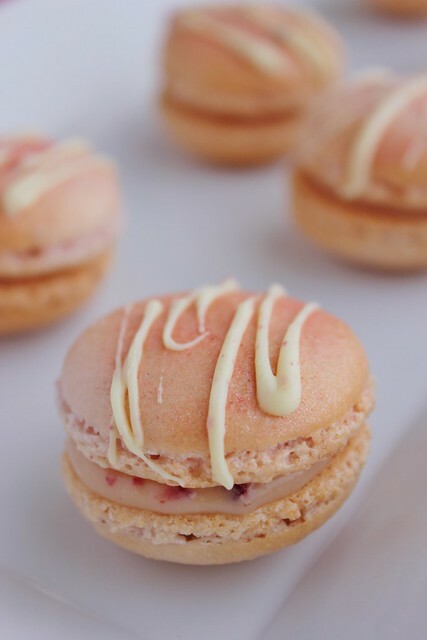 To top it all off I drizzled some White Raspberry Chocolate over the macarons and the result was AMAZING. I'm talking melt in your mouth, I think I'm falling in love taste here! Mr S took them to work and we managed to make $30! How cool is that?! The second thing I got involved in actually didn't take much time at all. A friend invited me to help out the New Zealand Chef's Association with their fundraising cupcakes. 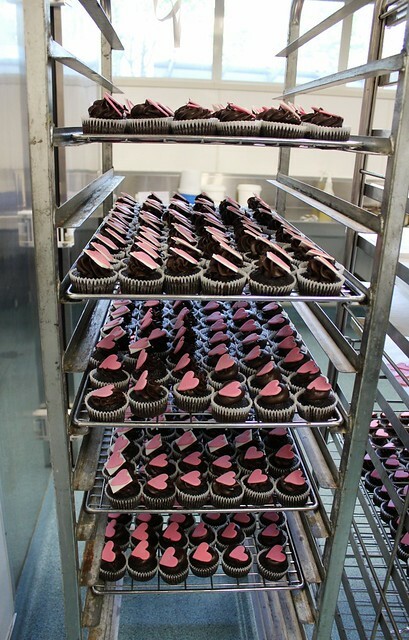 They made 1200 cupcakes in the morning and when we turned up at 6.30pm they were decorating them. Although there were already lots of helpers (perhaps too many chefs in the kitchen -literally?) 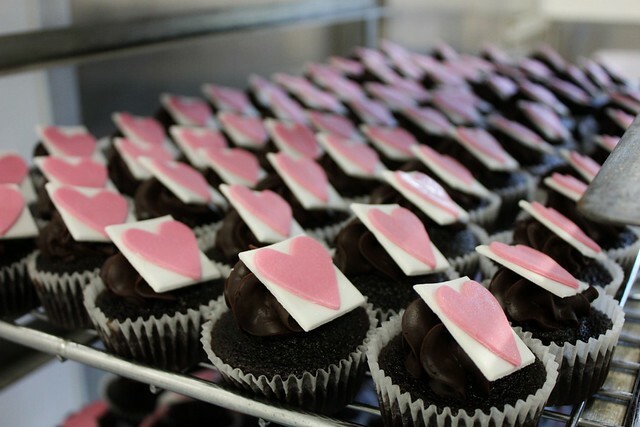 I managed to not get in the way and stuck some fondant hearts to iced cupcakes. Once the decorating was done (at lightening speed I can assure you) it was time to package. We got a little system going of putting the cupcake in the noodle box, closing the box and sticking the sticker on top. I am a HUGE fan of systems so I actually quite enjoyed this part! Who knew that I was some kind of noodle box ninja, perhaps in a past life I worked in a Chinese takeaways? I got those boxes finished at lightening speed and before we knew it we were finished. It took less than an hour to finish the whole process. Amazing! Isn't it nice to do something for charity? 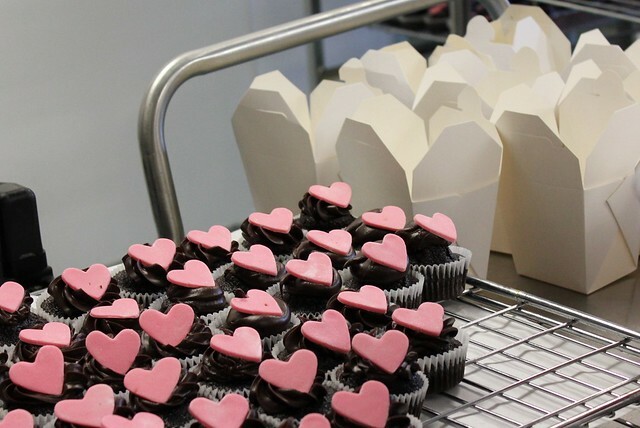 I especially love it when charity and baking come together, I think it's a match made in heaven. 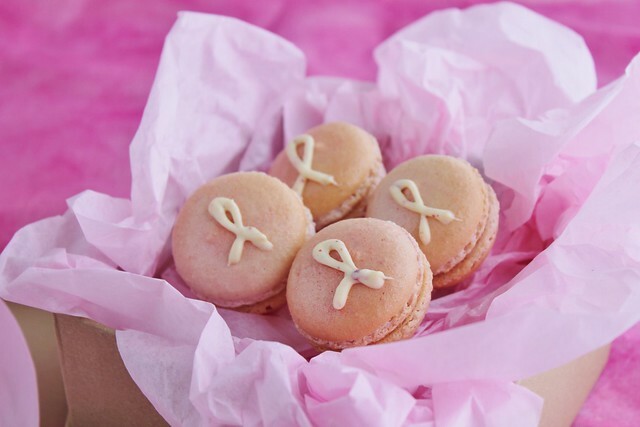 If you see anyone fundraising for the New Zealand Breast Cancer Foundation can I encourage you to give a little? You can also donate online. Every little bit helps! After that crazy day and having spent all day in pre-school/work AND going for a run I think it's time to put my feet up and enjoy this long weekend. I'm off for a date night with Mr S for the first time in forever, just movies with junk food but it'll be nice anyway! What plans have you got for the weekend? Both look amazing! 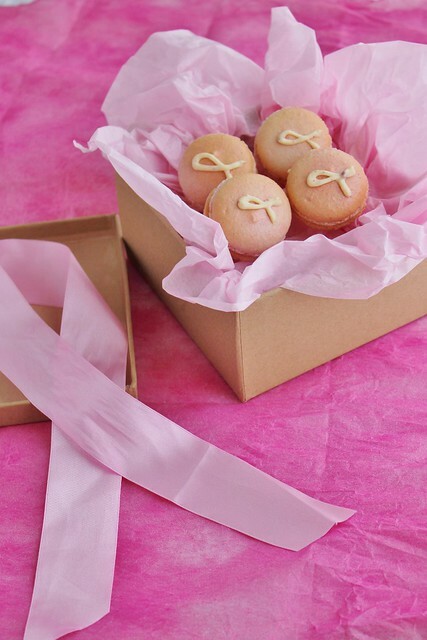 I wore pink for collection day, and gave a donation - but baking looks like lots more fun. Oh that is really cool Caroline! Good on you! I've never done the collection before, maybe I should do that next time. Baking IS fun, it's good when it's for charity cos you can't eat too many yourself haha! Thank you so much Mairi, you are far too kind!